Christmas is pretty much here (yikes! ), and gosh I love the festive season. What I love the most? Besides from the sparkling lights and the chunky knits... the giving. The giving of gifts. I'm obsessed with buying people presents, I love thinking of someone unwrapping something from me, no matter how big or small, it's the thought that counts. I'm spending the next month putting together the best gifts (so make sure you're keeping an eye out on my blog for this). Today, I wanted to talk to you about a really great little find, something unusual but a fantastic Christmas gift, particularly for wine lovers. Let's discuss. 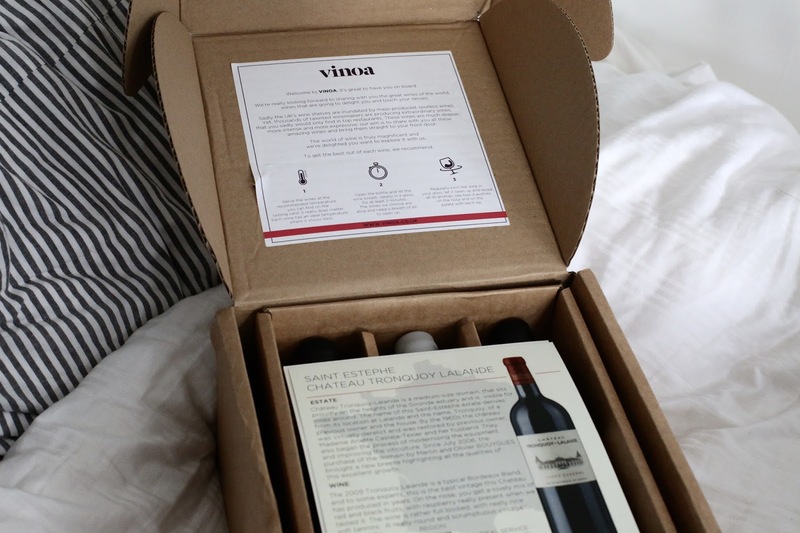 The Vinoa box is like a little parcel of heaven. 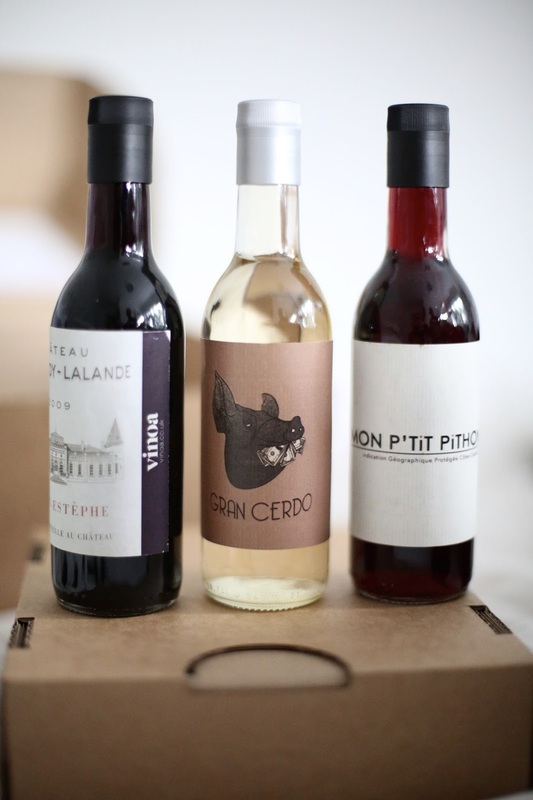 Imagine a Glossybox or Birchbox, but filled with handpicked wines. They send you fine artisan wine, by the glass, once a month. So yup, you could say this is a pretty epic gift for wine lovers. It's such a great way to enjoy top wine mid-week, without breaking the bank or meaning you have to open a full bottle. If you've read my blog post about the dangers of clean eating, you'll know I am all about balance. It means you can discover and explore great wines whilst keeping your drinking down but still indulging in a luscious glass at the end of a hard day. Imagine going to a restaurant or wine bar and ordering a top quality wine, but with this, you get it in the comfort of your own house for those cosy Winter date nights in! There are three options when choosing the box, firstly, the wine by the glass option I mentioned above. Then, you can choose to do the wine sampler, which allows you to discover a region or theme and you get four sampler size bottles of wine. You can then host a wine tasting in the comfort of your own room (I think I'm going to do this for my birthday in December as a different kind of evening!). You can also choose to get one size up, and go for quarter bottles so that you can enjoy a large glass of wine without having to commit to a full size bottle. Some may say 'healthy'. Haha. The last option? You can get them all full sized, of course! My box came brimming with goodies and honestly, I was blown away with the speediness of delivery and the amount of wine inside this little box. What a dream come true. I've turned into a massive lover of red wine recently (something I never thought would happen) and I really do appreciate a good glass so this box made my day. Vinoa have a team of sommeliers, they travel the world, visit dozens of wineries and taste thousands of wines so that you are only getting the best in your box. You don't get supermarket wine in your box, but hidden gems. On top of this, they work with wineries who follow sustainable viticulture practices at minimum and prefer wines from biodynamic and organic approaches to wine. When I lived in Canada, I visited a winery and fell in love. They taught me how to wine test. A different experience was when I went to a vineyard in France, as Canada is famous for it's ice wine. As someone who loves eating out (you'll know that if you've read any of my food blog posts) I also, love having a delicious glass of wine with my meal. I love that with this box, you can have a special glass of wine on a date night in, without the nasty price tag. 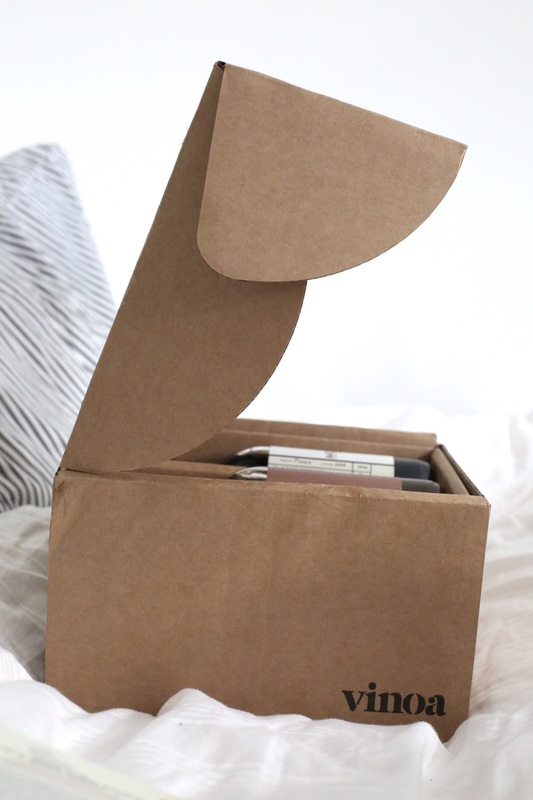 I was actually shocked when I saw how affordable these boxes are, starting from just £13.00. The subscription is fully flexible so you can renew monthly, every 6 weeks to even every 2 months. 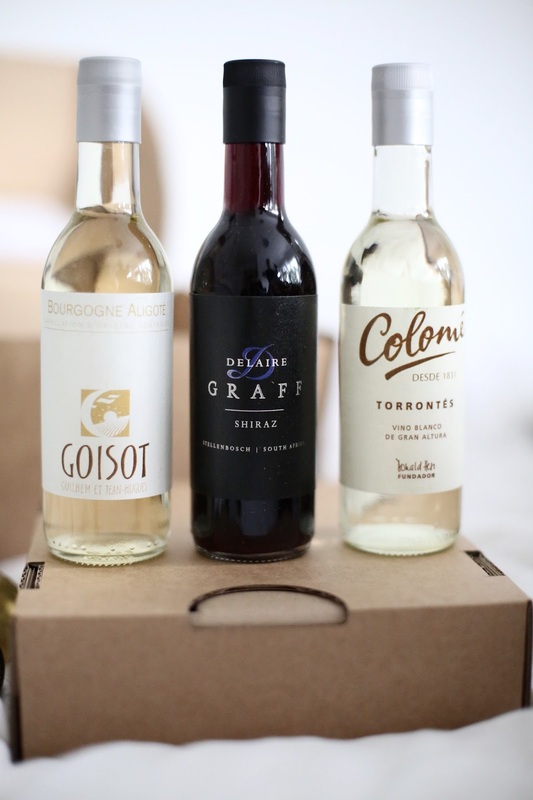 There are 2 levels of wine boxes, the first, is 27.90 per box and then, there is the Hedonist box, featuring only the finest wines in the world. 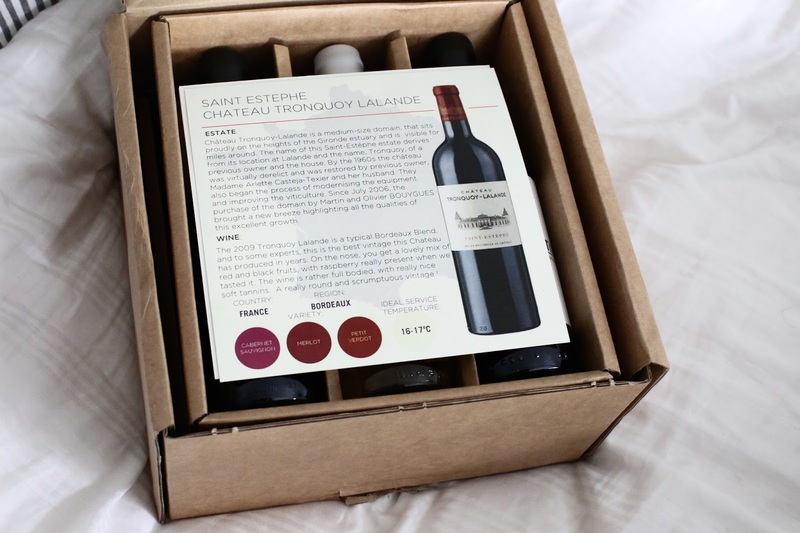 This is 57.00 per box and includes some of the best Burgundy wines, Bordeaux's, Napa Valley and more. I am blown away by this business idea, as a foodie I totally appreciate the idea behind this amazing box and know that it will make someone a very special Christmas present. You can shop these sets online here. I'll keep updating you guys with my top ideas for Christmas gifts so keep checking back! my Christmas gift guide for her too, my mens guide will be live this Thursday! Have you sorted your Christmas gifts out yet? Do you like wine? Do you like the idea of this? *I worked with Vinoa but as always, it's 100% my honest opinion.